The gaming community is a dedicated fanbase that marketers and gaming franchises aim to reach and influence. But despite the loyalty that these gamers and enthusiasts have for video games, there is still the challenge that developers have of standing out and capturing people’s attention. That is not an easy feat to overcome considering how many games are released per day. On iOS alone, the number of games distributed in 2014 per day was estimated to have been around 500, while roughly 250 games were released on Android. With thousands of games made available, both free and paid, in the market every week, gamers are left to decide on which ones they would like to try out. 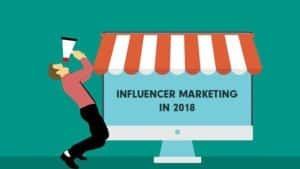 Consequently, it falls upon the video game marketer to capture the consumer’s attention – and one of the most effective ways to do this is by partnering up with an influencer. Getting an influencer on board a marketing campaign is becoming one of the most sought-after strategies in reaching out to an audience. In the video gaming community, consumers tend to tune in to what these social media celebrities have to say about a certain game. They are given the chance to consider if a game is worth playing or not. In fact, this simple yet effective marketing scheme has become a multi-million-dollar industry. Video marketing is increasingly becoming one of the best ways to get your word across, and there is no doubt that marketers know just how indispensable influencers are at the moment – especially in video game marketing. As a matter of fact, 90% of gamers watch YouTube videos weekly for advice on gaming and 64% of these gamers download or purchase games after hearing about them on YouTube. What is this phenomenon and how does it work? Basically, what happens is that influencers on YouTube record themselves playing while making commentaries on the game in a really engaging and entertaining way. Most of the top YouTube gaming channels are able to connect with their fans because of their honest and insightful first-hand review of the games. These influencers are also able to rack up hundreds and millions of views from other gamers and usually have more than a million followers, making them a great asset in video game marketing. Some video game companies also release their own video content as a way to advertise and connect with the audience. However, the views on influencers’ videos far outnumber the views on these companies’ own video content – which is all thanks to these influencers’ passionate fanbase who tend to look forward to every video upload. Take for example Grand Theft Auto’s marketing scheme. It is a game that has been around for quite a while now and the attention is still given to them thanks to their timeless gameplay. Rockstar Games, GTA’s official publisher, uploads their own content on various social media platforms, but its total view count of 10.3 million pales in comparison to that of their influencers’ collective 1.1 billion views. Another example is Minecraft which is a game that lets people build worlds. Gamers are continuously supporting this game because they are able to showcase their building skills. This also encourages them to continue sharing their creations through video and fans really love being able to see them build. Some of these gamers also happen to rack up the most number of subscribers on YouTube. Creators such as DanTDM and Sky Does Minecraft are some of the most popular gaming channels on YouTube – and they both publish content that is mostly about Minecraft. The gaming community has taken over a great portion of YouTube, so much so that even non-gaming brands are partnering up with gaming channels to promote their product. They are that influential when it comes to advertising. This comes as no surprise because according to a Nielsen report, about two-thirds of the American population plays video games on some device. With far-reaching influence and a devoted following, these gaming channels and influencers are now the go-to avenue of marketers (and even non-gaming brands) in creating a relationship with their viewers. This largely untapped market has been described by Google as “uber consumers” as they are more likely to buy goods and services than the general online population. What makes influencer marketing in video games such a great strategy? The one thing that influencers have over their fanbase is a strong connection. In a recent Nielsen study, it is revealed that 66 percent of consumers trust opinions that are posted online. The passion and enthusiasm of influencers are also major attributes that build trust between them and their fans. Their honesty and real-time commentaries and reactions on screen give fans a glimpse of what they can expect from the game. Mobile gamers, for example, only play a couple of games at a time and are mostly not looking into playing new games – which makes it hard for advertisers to catch their attention. This is the reason why most ads are kept short and compelling. However, some mobile ads do not usually paint an accurate picture as to what gamers can expect from the game which fosters disbelief. On the other hand, gaming videos on YouTube, which are often highly entertaining and create a sense of familiarity within the community, prove to be more engaging as they allow them to see what they can actually expect in a game. Fans are able to recognize legitimacy which encourages them to heed the creator’s advice about the game. This increases the chances of them purchasing and playing the game. Influencers are known to have a substantial effect in the purchasing decisions of their followers. With years of interaction between them and their audience, it is not surprising to know just how deep this connection has become. As a developer and game marketer, choosing to promote your game by partnering up with an influencer connects you directly to an audience that is likely to take action in your offer – and it’s a great opportunity to maximize your reach and build connections.